Will 2017 be the year to recapture SA’s narrative? LOOKING back at events and conversations of the past few years, especially 2016 when everything seemed to have moved into higher gear, it dawns on me that it’s easy to just share criticism and commentary while, seemingly, sitting comfortably in one’s arm chair. We live in a country where media people and commentators could just sit there and have stuff thrown in their laps to write about and comment on all the time. If anything, there are never dull moments in South Africa. But the irony of it all is that the same people and organisations who spend endless amounts of energy mismanaging our institutions, blatantly abusing our resources, spitting publicly on our constitution, or simply failing to deliver on their mandates because they never had the qualifications, experience and ethical wherewithal to be appointed in the positions they occupy in the first place, consistently blame others for the images they see in the mirrors facing them. 2016 has been a particularly tiresome year for many of us; emotionally, physically, and morally. It is the year during which we’ve seen many retired and near-retired former activists and other angered South Africans return to the streets to demand change. They demanded the departure of the current political leaders, many of whom are either directly involved in corruption or complicit in it by endlessly defending the indefensible. It is the year during which the expression “brought the party into disrepute” was conveniently thrown out of the window because no one dared apply it to the one source of ‘disrepute’ that few had, strangely, expected the disrepute to come from, despite the writing having been on the wall for all to see. It is also the year during which the defense of country was relegated to the back of the queue by hordes of hungry political opportunists who equate ‘public leadership’ with ‘feeding trough’. There are many of them out there, waiting in the wings for their turn to come; nothing else matters. If we do not stop them, in a few years’ time there will be no country as we have known it, to talk about. We should do all we can to make sure that 2017 doesn’t turn out like 2016 and the years before it, especially since the downward spiral that began in 2008. It should be the year during which South Africans come together to take stock, to take control, and to recalibrate. Those who’ve made it a habit to take advantage of recent developments to throw racial stink-bombs across our still fragile historic divides should be isolated for who they are; so should the ones messing-up our democratic institutions. Unlike most countries on the African continent, South Africa has the democratic institutions and a good basket of legislative arsenal to be different and to avoid the mistakes made elsewhere on the continent. All is not yet lost. We have a progressive constitution and bill of rights, a fiercely independent judiciary, a set of Chapter 9 Institutions that could be laudable if they were all led by capable and qualified men and women of integrity who know how to put country, people and constitution first. And we have a very active, often militant, and vigilant civil society; all the ingredients of democratic success simply begging to be combined in the right doses. It is for all the above reasons, driven by love of country, that a group of us have decided to come together to launch an annual event to facilitate discussions about who we wanted and hoped to be as a post-apartheid nation, at the dawn of our democracy; who we are, today – or whom we have become – and how we got here; as well as attempt to answer the question to know what we need to do in order to recalibrate the narrative of our nation brand and redefine brand South Africa. This needs to happen to make sure that we do not keep placing a series of plasters on wounds that will continue to fester anyway. The inaugural event will take place on 16 and 17 November 2017 in Cape Town, and will address issues in business, politics, and community that have any form of impact on South Africa’s image as a nation brand, domestically and globally. The “community” basket of discussions will include issues like the health system, education, community builders, the sports, etc., whose role and status can contribute to reinvigorating our pride to be South African and remain an attractive destination for foreign students, tourists, investors, and generally generate goodwill for South Africa. A final discussion panel will consist mainly of international experts who, armed with a view of South Africa from abroad, will tell us how they see us, as a nation brand, and provide useful insights on best practice in nation brand building and reputation management. The outcome of the two-day summit will be a document that we intend to share with Brand South Africa – which we hope will partner with us in the summit – that will contribute to informing its country image management strategies going forward. The summit will culminate in a gala dinner awards event at which brands from across the board (person, corporate, organisational, government, etc.) that make South Africa shine will be celebrated. A process is already underway to develop a comprehensive programme for the proposed summit, to invite speakers from various fields of relevance, as well as private and public sector partners to make all of this possible. The positive energy that was generated by recent parliamentary ad hoc committee hearings on the SABC has given us hope to end a truly tiring year on somewhat of a positive note and hope that all is still possible. 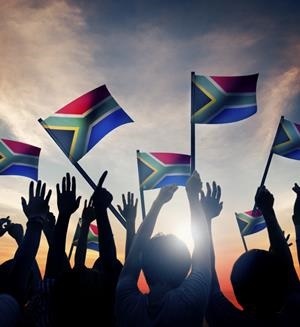 The fact that no strategic government minister has been fired for all the wrong reasons and that South Africa’s credit rating, although still fragile, has not been relegated to junk status, are other reasons to be hopeful that we can still be on the mend. May this positive energy prevail into the New Year!